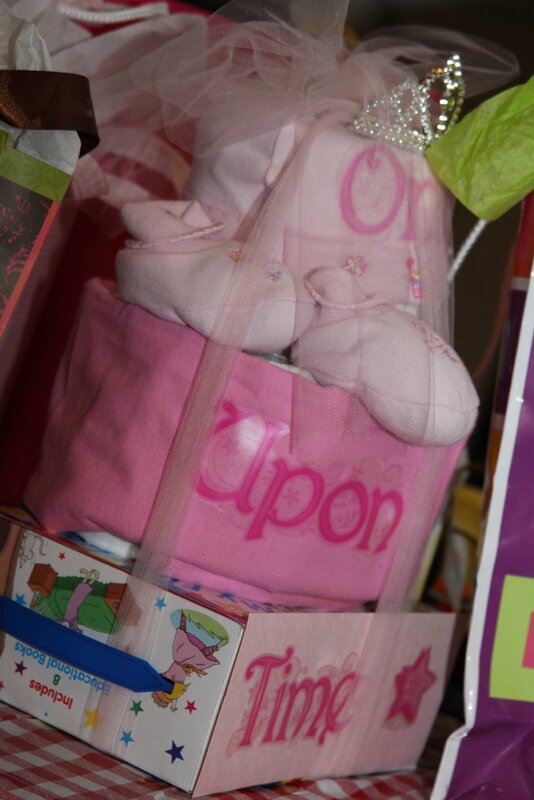 We had another baby shower at our bunco night this month. 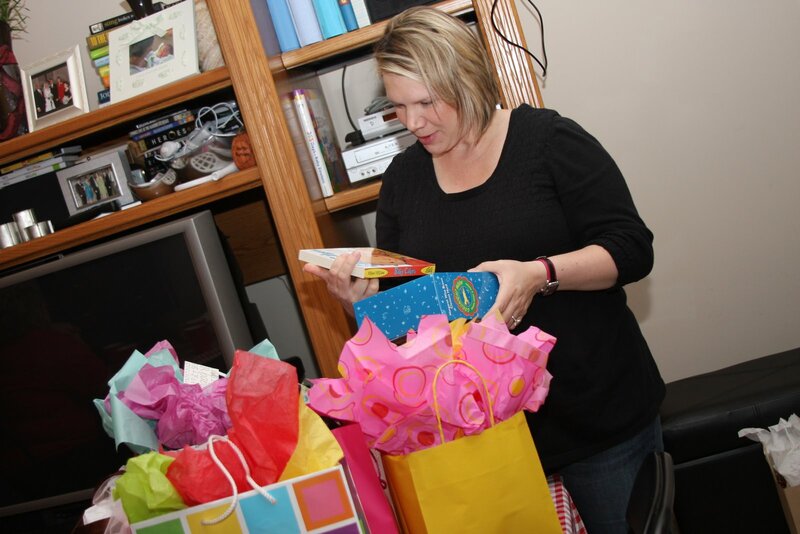 This time it was a surprise book shower for Susanne and the little girl she is anxiously awaiting. We were also excited to have Adalyn there! That’s right. 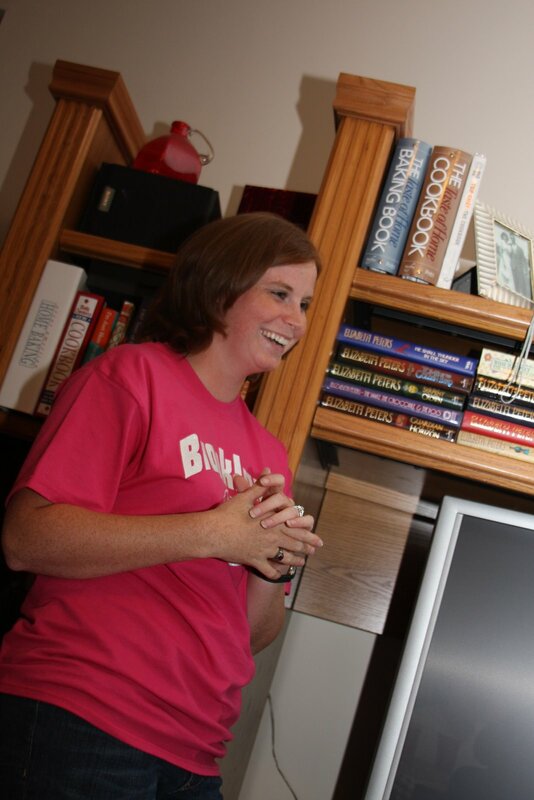 That is Courtney, wearing a pink, sparkly t-shirt. 🙂 You just thought we wouldn’t notice.